create Guayita, the Golo Line breeding crew used a Guayaba elite clone (Chemdog x Afghani x Chem91) coming from USA. 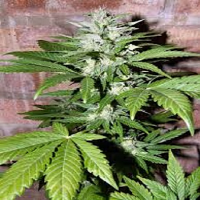 Guayita Feminized Cannabis Seeds by Philosopher Seeds: To create Guayita, the Golo Line breeding crew used a Guayaba elite clone (Chemdog x Afghani x Chem91) coming from USA, and the famous mother plant Juanita La Lagrimosa from Reggae Seeds. They achieved to combine the very special smell of these genetics, the earthy smell of Guayaba with the citric taste of Juanita. 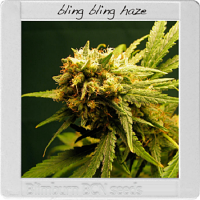 Guayita is a mostly Indica plant, producing a fat and long main cola and few branches, with large dark green leaves which reminds of Guayaba. This Indica structure will make Guayita a perfect strain for Sea Of Green growing (SOG). Guayita is a very stable strain. Once cured, Guayita offers a woody taste with earthy and sweet tones, thanks to Juanita. The smells of these two genetics have been perfectly combined, making Guayita a sweeter and more intense version of Guayaba. Guayita produce a strong sativa effect, locking our body and mind into a bubble. For this reason, this strain should be used only at the end of the day, it is not recommended for performing important activities. Around 50% of the phenotypes will show high CBD ratios, what will be perfect for people suffering of chronic pain. 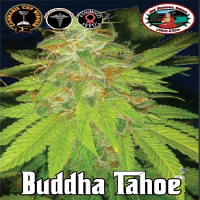 Philosopher Seeds continue working to increase the chances to get high CBD plants from this cannabis strain.